There are many places that make you appreciate Algiers in different ways .One can begin the visit of Algiers by the discovery of its lung; Kasbah of Algiers, an old citadel which evokes a lot about the historical side of the country. Then, explore the palaces like Dar Mustapha Pasha, Dar Hassan Pasha and Dar Khadaouedj El Amia, etc. You are absolutely going to admire and be seduced by all the spiritual places like the sublime Basilica of Our Lady of Africa , Jamaa El Kebir (Place of Martyrs) and Jamaa Erahma (Khelifa Boukhalfa Street) and the Ketchaoua mosque. 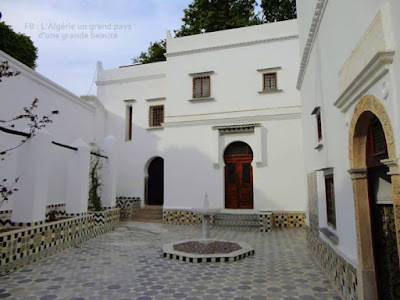 In Algiers, there are many buildings which will allow you to discover one of the many achievements of the architect Fernand Pouillon in Algeria (Diar Es-Saada). A lot of streets present the most beautiful aspects of the French neoclassical architecture. As an example, the Cathedral of the Sacred Heart with modernist architecture stands out frankly from this succession of old buildings proudly molded, mosaics and balustrades in wrought iron. In addition to the legendary building “The Grande Post” (constructed in 1909), the jewel of neo-Moorish architecture and it stills until today the landmark of Algiers. Algiers is headquarters of dozens of museums. You can begin your visit at the Museum of Antiquities and Islamic Art which is one of the most interesting museums in the capital along with the Bardo Museum which has been classified as the UNESCO World Heritage since 1985 .You can also visit the Mujahedin Museum and the Museum of Fine Arts which includes the largest collection of African art and it houses the works of Algerian painters, miniaturists and visual artists such as Baya, Racim, Khadda and Issiakhem. You can even walk around the Maqâm Echahid (monument of the Martyr), a monument that was constructed in memory of the martyrs of the Algerian revolution. All important streets are in Algiers the capital; boulevard khemisti, Didouche Mourad Street which is lined with fine craft shops and bookshops and sometimes compared to the Champs Elysees, the Street of Larbi Ben M'Hidi (rue d'Isly) which is lined with snacks and shops of all kinds. Further afield, Touati-Mohamed square, better known as square Port Said or Bresson, where the majestic Algiers National Theater is held, offering the spectacle of an impressive open-air exchange office, and Bab-Azzoun Street that leads to the Place des Martyrs (ex-place of government) which was the former center of Algiers from the arrival of the French and until the beginning of the twentieth century. The discovery of the city is continued by walking around in El Hamma wonder; the Test Garden (Jardin d’ Essai ) that impresses, attracts and seduces by its unique flora and the harmonious marriage of colors(it includes 3000 different and rare species ). 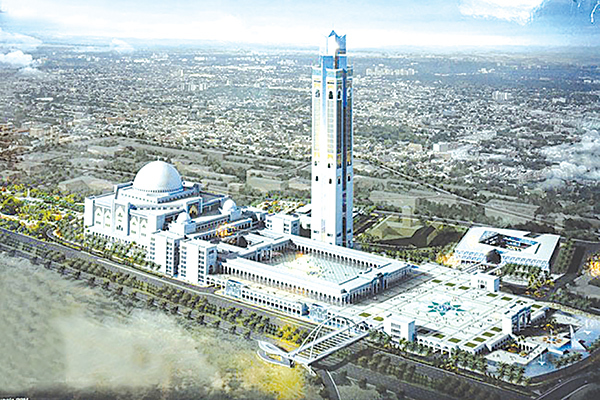 Besides, Dounya Park which is inaugurated at the end of 2013 offers a life-size playground for hikers or nature lover. Picnic tables, a natural lake and its wildlife, as well as games for children will have finished conquering you. 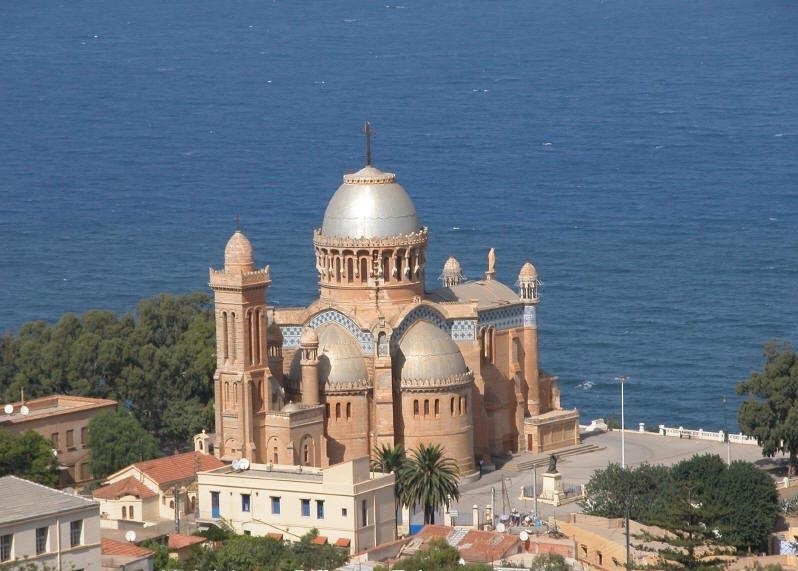 Algiers is also one of the best places to spend a few days to enjoy the Mediterranean coast and its beaches. El Aurassi Hotel (5 stars) dominates the capital and leads you to appreciate a beautiful view from its location, it offers a comfortable stay to enjoy your visit to the capital.